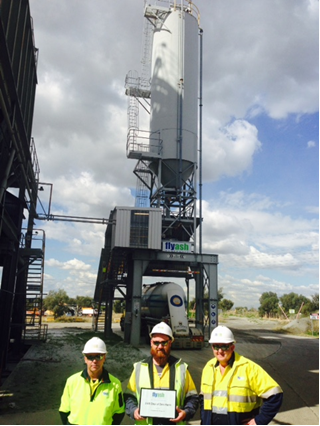 In December 2015, Flyash Australia (FAA) has passed 10 million tonnes of fly ash dispatches from the Eraring plant, since operations commenced in 1986. FAA’s shareholders, Boral Limited and Cement Australia & their concrete customers have developed the beneficial use of this material, predominantly as a partial cement replacement in concrete elements, products & structures, throughout NSW & ACT. This is indeed an outstanding recycling achievement and an environmental success, significantly reducing land fill waste and CO2 emissions. The beneficial use of 10,000,000 tonnes of fly ash in concrete equates to a reduction in CO2 gas emissions in excess of 4.5 million tonnes* over this period. *Based on Industry Average net CO2 emissions for grey cement clinker, Asia & Oceania 2013. 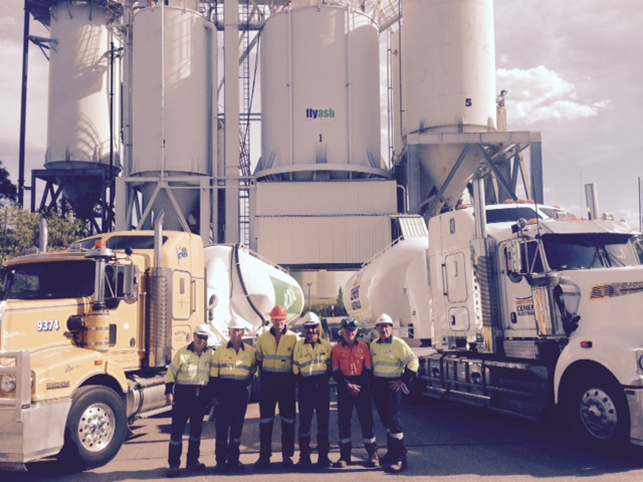 On the 30th August 2015 the Flyash Australia team at Bayswater plant in the Upper Hunter region of NSW celebrated the achievement of 1500 Days of Zero Harm. Reaching this outstanding milestone recognises the proactive safe working behaviour of the FAA Bayswater team. Gerard Holz, Levi Hodge and Mark Fullick. We are relocating the Flyash Australia Head Office from Kogarah to a new location at Lindfield.